Everyone loves a good deal. Whether we use points or cash, we don’t like to overpay for accommodations. Getting the best price on hotel rooms feels great. Paying less than we normally would for a hotel leaves us with money to spend on other travel goodies, but hotel prices can be among the most complicated of travel mysteries. Wouldn’t it be great if we could book the SAME room for a cheaper rate when rates go down? I have fallen in love with a new tool that actually guarantees I’m paying the lowest price on my hotel bookings, called Pruvo. I wrote a detailed post back in May about how to Pruvo your reservation. Pruvo has since made some significant changes. I’d argue the value of their service has actually increased. No matter what website you use to book your hotel rooms, if you’re booking free-cancellation rates, you can Pruvo-proof your reservation using Pruvo. 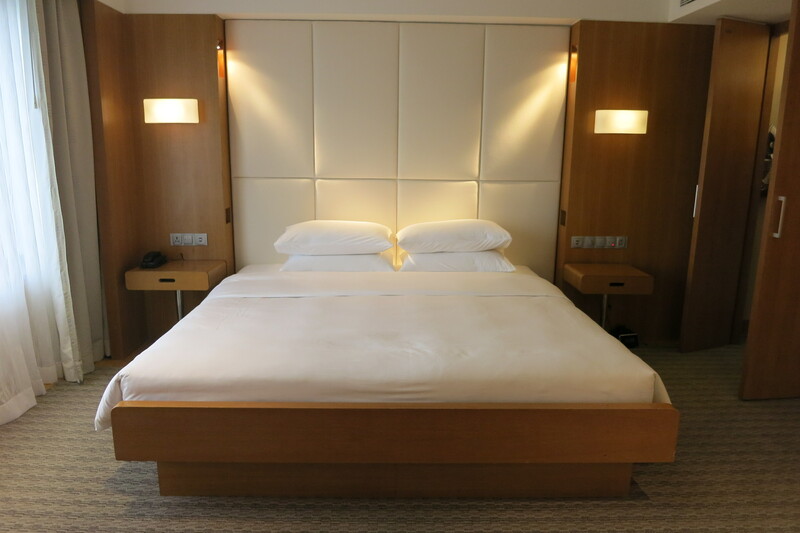 This easy to-do tip about using Pruvo gets you the best price on hotel rooms. While there are other tools you might use to cancel and then rebook a hotel at a cheaper rate, Pruvo’s wizard takes you through all the steps to rebook the room at a lower rate. Even if you have a travel agent make your hotel reservation and they’ve purchased add-ons or special perks for you, Pruvo can now track the exact same room with the exact same perks. For example, if you book a Superior room with a king size bed, sofa bed, free wifi, and balcony with side sea view, Pruvo will check prices for the exact same room with the exact same perks, not just the base price. Learn more about travel rewards credit cards that get you free nights at hotels. Pruvo has also started looking for better rooms within the same hotel as well, as long as it is less expensive than the original room. The Pruvo team added this feature since sometimes there might be significant discounts on Superior, Deluxe, or Luxury rooms, but for standard rooms nothing has changed. Who wouldn’t want an upgraded room for the same price or less? The best price on hotel rooms with upgrades…….yes please! Pruvo noticed that some people have security concerns regarding sending their original reservation. Now, if a Pruvo customer does not want to send their original hotel reservation, they can send a blank email to Pruvo here with the subject title “Please send me a link to manually input my reservation details”. If you go this route you’ll receive a link and fill out all the necessary details Pruvo needs in order to track the reservation without providing any details. It is important to note that Pruvo never has access to your credit card information. They do not make any changes to reservations. They do not book new ones, nor cancel original ones, but they allow you to in one easy-to-use interface. Recently, Pruvo added a new feature I love! It’s now possible to modify the settings to include or exclude cheaper ‘Pay Now’ options, or even specify the amount of a “Pay Now” discount, so that you’re only alerted if the price falls to a specifically low level. I don’t recommend turning off the “Pay Now” offers completely, because sometimes these rates can get incredibly low. The better option, and what I’ll do going forward, is to modify the scale to a savings amount that it is worth the “inconvenience” of those Pay Now alert emails from Pruvo. Pruvo lets you customize your alerts! Pruvo has also added interface in Portuguese, French, Russian and Italian due to its growth in countries speaking those languages. They now have a demo video with step by step explanations on how to use their service. This is a great addition to their website. What About Elite Tier Points? Depending on which site you use to rebook a room you may forfeit tier points and even some elite benefits. In cases where hotels are rebooked directly through the hotel, at a cheaper rate, all elite perks are usually intact. However, whenever a really cheap rate pops up I will always evaluate the savings. This savings threshold will vary from person to person. Some may be willing to forgo a comped upgrade at a 20 percent lower price. Others may need a much higher discount to book through an online travel agency or third party. Of course, as mentioned before, Pruvo can also score you a guaranteed upgrade if a better room becomes available at a lower price. If you haven’t tried Pruvo, you’re missing out. Pruvo is a no risk “nothing to lose” way to monitor your hotel bookings. Just as people buy traveler’s insurance, using Pruvo is basically using a free best price insurance policy. When I book the same room for a cheaper rate, it feels great. When I travel, I sleep better knowing I’ve gotten the best price on hotel rooms! If you don’t hear from them… congratulations! You booked the best deal. If you do hear from them… great news! They just saved you money! Either way, I feel like there’s nothing to lose using this service.